Over the last 3 decades that we’ve been around, we’ve grown into a full-fledged design innovation led unit. Apart from an immensely talented team of individuals, we attribute a large part of our success towards the city we are based in, Pune. The place that we call home has given us so much, we felt it was our turn to give something back. Pune, Queen of the Deccan, Coffee table book. 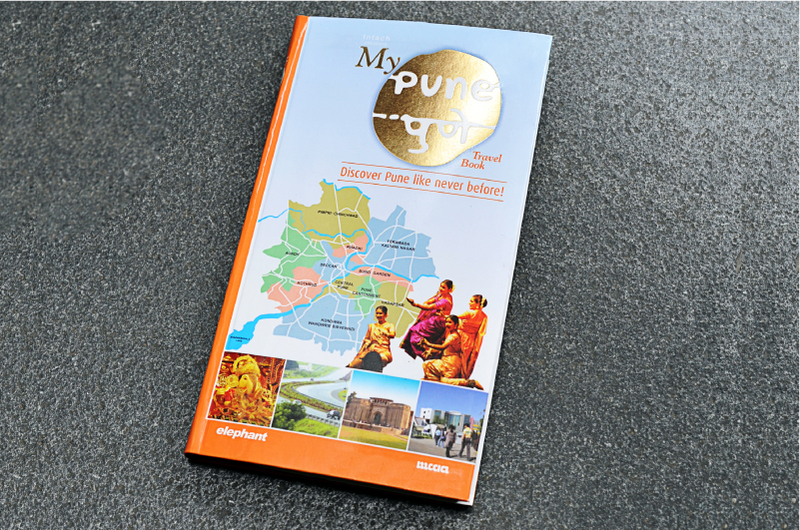 With Pune having a rich history encompassing centuries, we decided to help in creating a book which would immortalize everything the city stood for. Immaculately curated by Jayamala Diddee and Samita Gupta, the coffee table book puts together the geographical, architectural and political history of Pune in one place. Instead of just sticking to the design, we got involved in sourcing photos from museums, libraries and collectors. Piecing together the urban history of Pune, we ended up discovering more about the city than we could have imagined! Pune Guide Book. As Pune started to evolve from a small town into a buzzing city with countless visitors each day, we realised that the city was missing a significant publication. Any other tourist city in the world offered travellers a choice of guide books to choose from. Pune was missing a dedicated source with the wheres and whats for tourists. A little over a decade ago, the internet was not widely accessible, particularly on mobile devices. So we decided to create a guidebook for our city, in an attempt to address this problem. We spent extensive periods on research, finding out the best places in this city. We tried to include something for everyone, talking about food, culture and seasonal activities in and around Pune. The book also spoke about its cultural importance. The first of its kind, it managed to create a foundation for future publications to work on and develop.